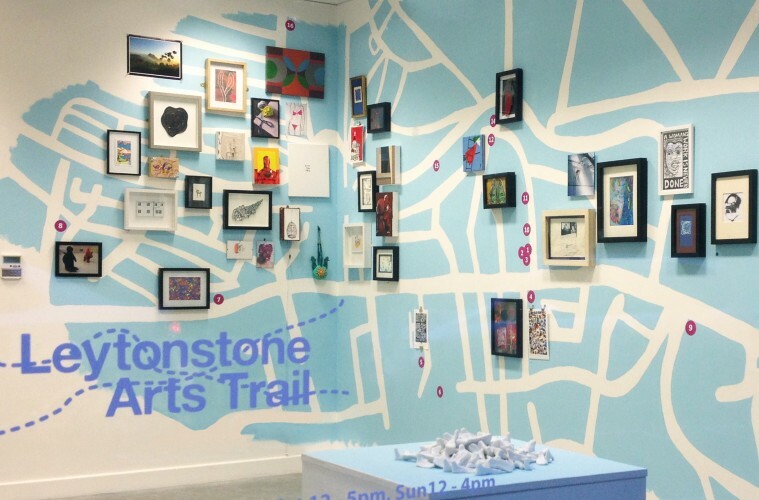 The Leytonstone Arts Trail is an annual festival of visual arts in Leytonstone. It is an opportunity for anyone to show their work. It provides a forum for the creative talent in Leytonstone and its surrounding areas and builds connections between local artists, businesses and residents. Participants display their work in a variety of venues such as their homes, studios, workshops, cafes, shops, galleries or outdoors. They register their exhibitions and venues with the Leytonstone Arts Trail organising group who collate this information and make it available to the public both via this website and in a printed Arts Trail guide booklet. Members of the public are invited to enjoy all the exhibitions free of charge and it is hoped that the Arts Trail increases the enjoyment of both living and working in the area and of visiting the area.